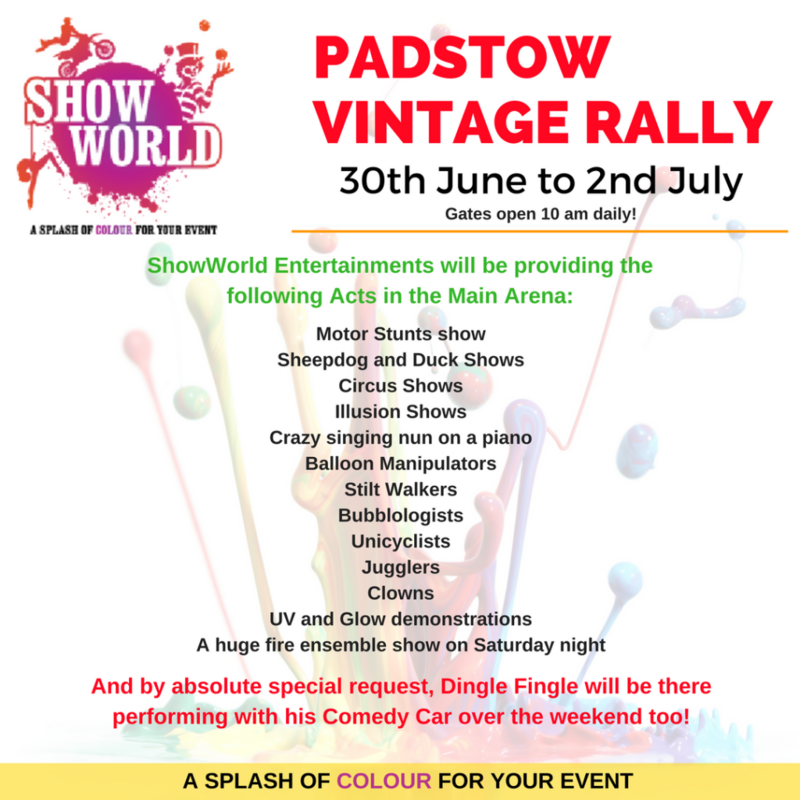 This June 30th to July 2nd, ShowWorld UK will be providing arena entertainment for the 2017 Padstow Vintage Rally. 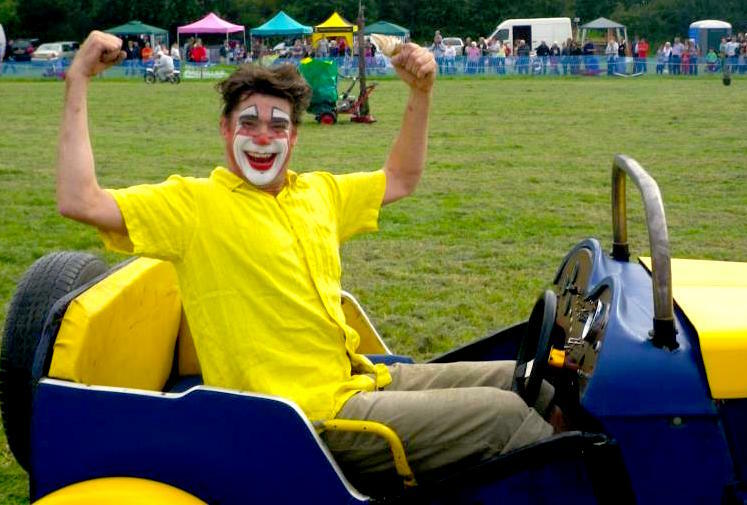 And by absolute special request, Dingle Fingle will be performing with his comedy car! Dingle Fingle will also be putting on a huge fire extravaganza on Saturday night! Guaranteed fun for all the family, and NOT to be missed! For more information, or to enquire about booking our acts for your event, contact us!